Product #1073 | SKU 2-064-0001 | 0.0 (no ratings yet) Thanks for your rating! 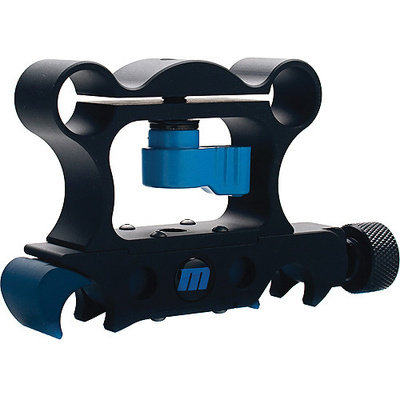 The Redrock Micro microRiser (Quick Release) is a multi-purpose clamp that lets you attach a second set of 15 mm rods at a fixed height above or below your current rod system. When used with taller HDSLR cameras, the additional rods can support accessories such as microFollowFocus, microMatteBox, etc.